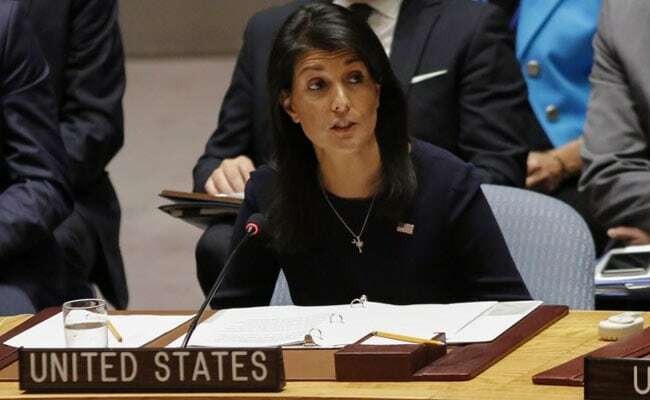 Washington, Nov 2: The US will not tolerate Pakistan providing safe havens to terrorists, America's envoy to the UN Nikki Haley has said and backed the creation of a strategic alliance with India to fight terrorism and maintain peace and stability in the Indo-Pacific region. One of the pillars of that strategy is the development of America's strategic partnership with India. "America's overriding interest in Afghanistan and throughout South Asia are to eliminate the terrorist safe havens that threaten US and to keep nuclear weapons out of the hands of terrorists," Haley said. "And critically, we will look to our economic and security partnerships with India to help us. We expect India to do more in Afghanistan, particularly in economic and development assistance,"
The US, she said, is also approaching its relationship with Pakistan differently. "In many instances Pakistan has been a partner to the United States...But we cannot, tolerate its government or any other government giving safe haven to terrorists who target Americans. We will not tolerate it and we're communicating that message to Pakistan more strongly than in the past," Haley said. Haley said that the June meeting between US President Donald Trump and Prime Minister Narendra Modi was quite successful, as she praised India s responsible role in the international community.